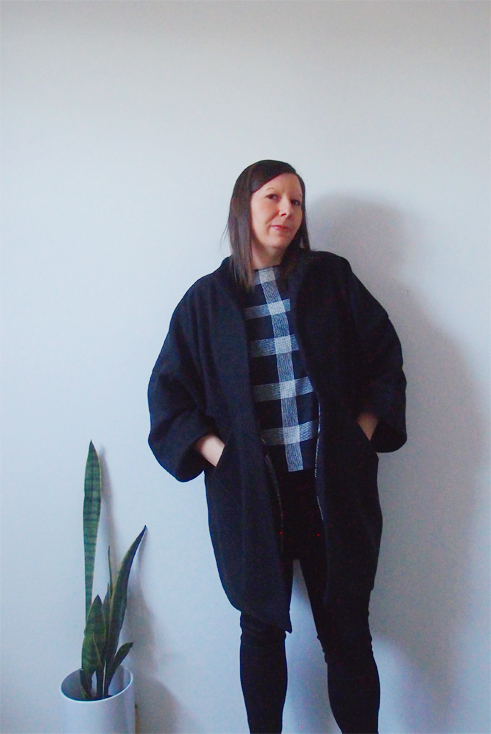 This coat might be my favourite make, if not ever then at least for the foreseeable future. It's been in constant rotation since completion and despite being on various adventures on (sometimes unsavoury) planes, trains, busses and trams, it still looks as good as the moment it left the machine. This is of course the Papercut Patterns Sapporo Coat, a cocoon-shaped coat designed for various woven fabrics. While this pattern has been out for a little while, a chance spotting of a sample put the pattern well and truly on my radar, and I couldn't get it out of my head. Plus, Me-Made-May made me realise I had a 'nice winter coat' gap in my wardrobe, and the Sapporo seemed to fit the bill just nicely. I went for a size small/medium and used a medium-weight wool coating from Super Cheap Fabrics. The fabric is difficult to photograph (photographing indoors in winter is difficult, hence the grainy photos – apologies) but the colour is actually a really dark green with a blue tint and a faint lined texture running through it. You'll just have to trust me when I say it's really lovely, and is like wearing a warm, snuggly, luxurious blanket. I decided to line my coat in rayon from Spotlight. I was initially going to choose a boring plain lining, but after some aimless wandering spotted this leaf print, which matched the dark green of the coating perfectly. I don't wear prints very often, but I'm so glad I decided to choose a print lining because it brings me so much joy! I can't overestimate how much joy, in fact. 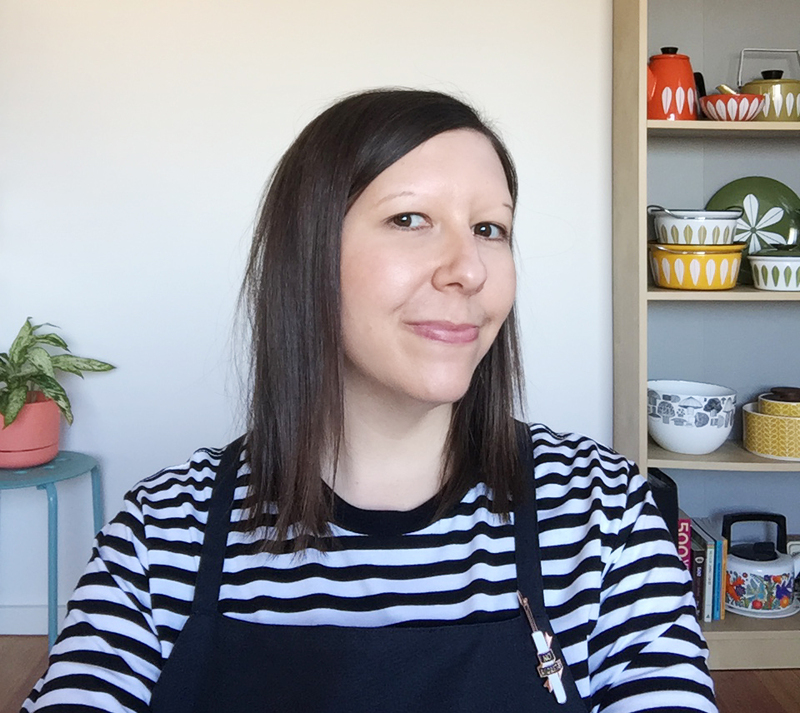 The pop of pattern is lots of fun. 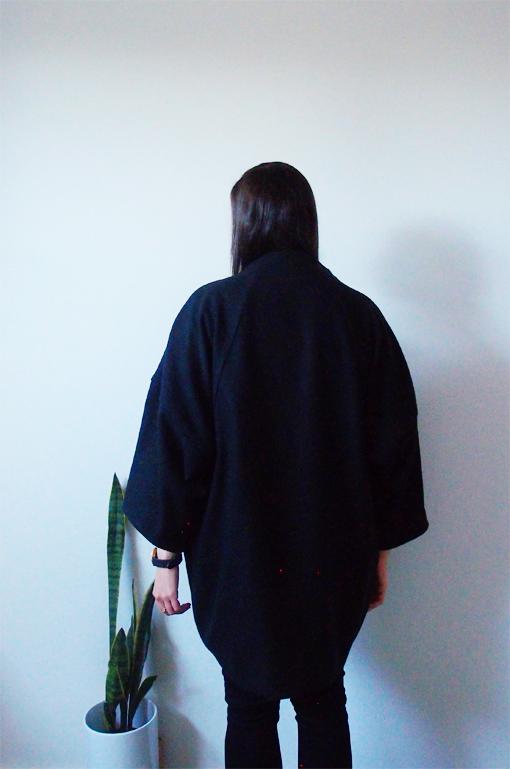 This was my first time sewing a Papercut pattern, and my first time making a coat, and while the instructions are great I found it this YouTube sewalong from Jessalli Handmade really helpful. I did end up deviating from the pattern slightly though. After attaching self-lined sleeves I realised two layers of coating was just going to be too bulky and heavy. 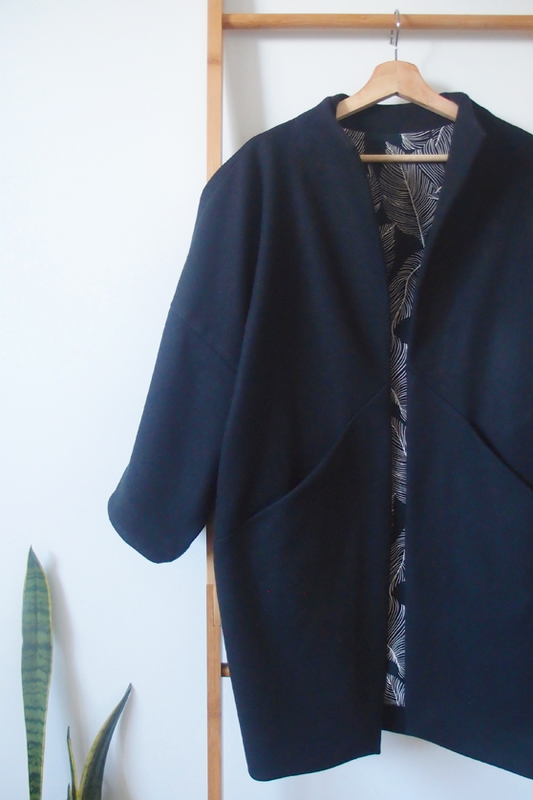 So, after some guidance from a friend, I decided to unpick and line the sleeves with lightweight fabric instead (although I'd run out of the leaf fabric by then and had to use black rayon). 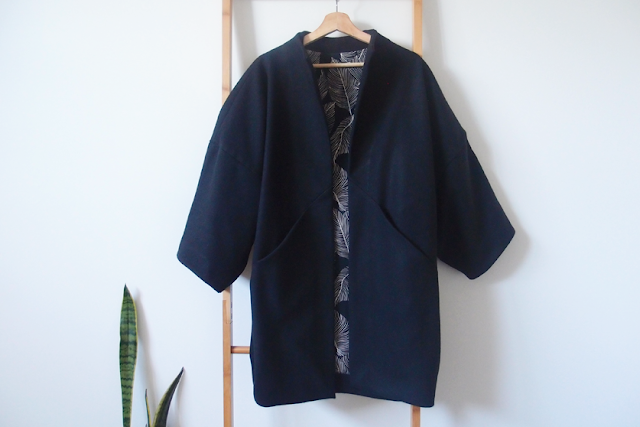 If you're making a winter coat version of this pattern and want some more detail, drop me an email and I'll send you some photos. Other than that I didn't change a thing, although if/when I make this pattern again I'll make the pockets deeper so they better fit my hands/phone/travel card/etc. 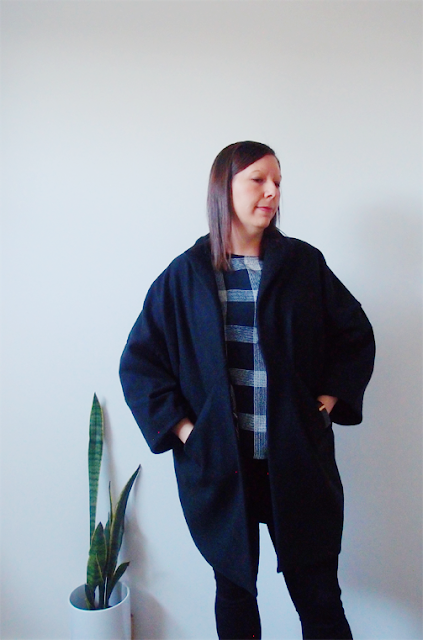 While I was unsure a coat with shortish sleeves and no closure would be a suitable for winter, it has been ideal when the weather is clear and the sun is shining. 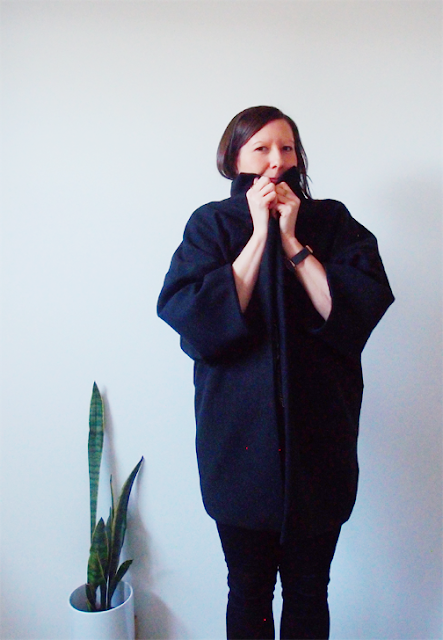 I love the beautiful shape and simple lines of this coat, and feel great wearing it. 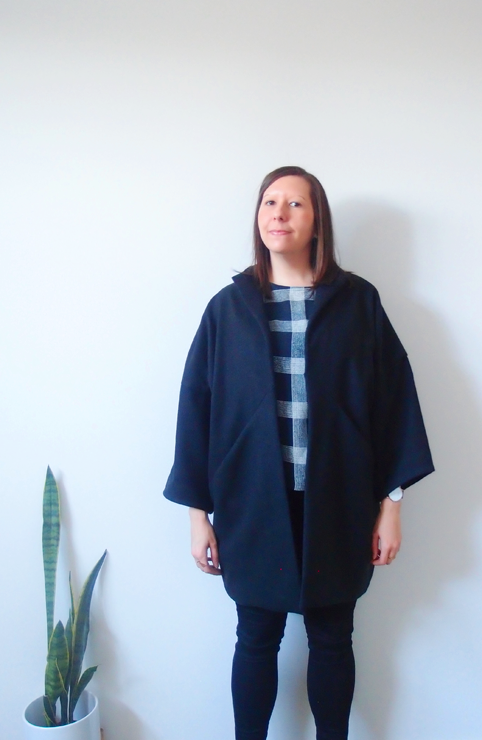 I also feel like I've unlocked some sewing superpowers recently – first jeans and now a coat! I wonder what else this year will bring? p.s. 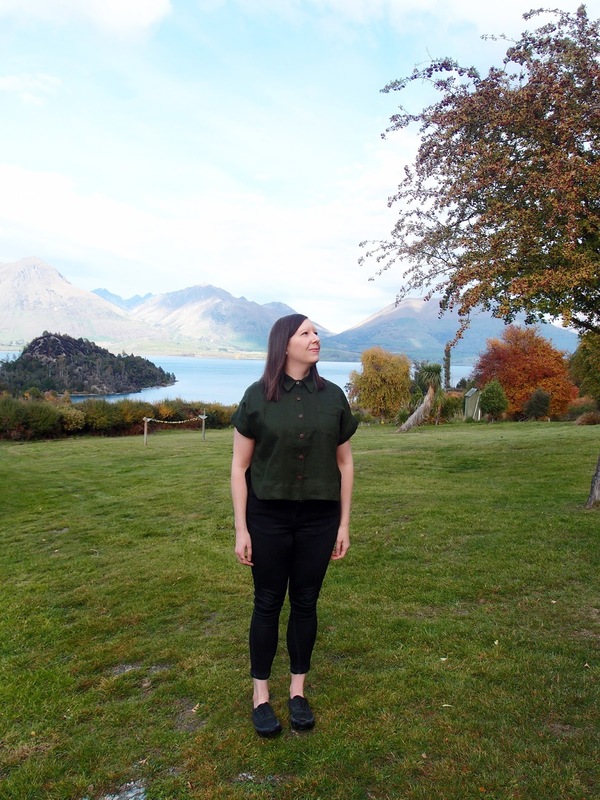 The top I'm wearing here is an unblogged Marilla Walker Maya Top in rayon crepe from the Fabric Store. Thanks so much Sarah! The no closure doesn't bother me, but I've heard that a kilt pin works well on a windy day.